Today, I’d like to share a recipe with you. Not just any recipe… a cream cheese frosting recipe I have used dozens (maybe even hundreds) of times, and I love it each time! There are two reasons I love this recipe… one is that it’s really, really easy, and the second is that it’s really delicious! While I do also enjoy other styles of frosting, like Swiss Meringue Buttercream, Fluffy 7 Minute Frosting, or Whipped Ganache, this cream cheese frosting recipe is easier than any other. This is basically American style buttercream (which is butter, powdered sugar, milk), but with the addition of cream cheese. The cream cheese is really the key ingredient, since it helps off-set the sweetness of the powdered sugar, and adds to the creaminess of the butter while also removing the greasy, pure butter flavor. Another thing I really like about this recipe is that if you use these proportions, the frosting is not over powered by the cream cheese, it takes on the flavor of whatever extract or additional flavorings are added. *Place butter in a large mixing bowl and beat until smooth. Add cream cheese and blend until fully combined and smooth, about 30 seconds. For Chocolate Frosting: (my favorite!) add ½ cup unsweetened cocoa (I use Ghirardelli brand, it’s really good). Add the cocoa powder before adding the powdered sugar, so it gets fully incorporated into the butter and cream cheese. * This recipe will frost about 22-24 cupcakes if you are piping a nice swirl, or even more if you just spread it on. If you’re making a cake, this will frost and fill a two layer 9″ cake. How many cupcakes should this frost? Hello! I can’t wait to try this frosting but I have a question about the butter and cream cheese being cool, cold or straight from the fridge. Why do you recommend that? I thought everything should be room temp to ensure smooth blending. What does that technique do?? thank you so much for the great recipes! The ingredients have to be cold so as to ensure volume. If you start out with too-warm butter or creme cheese, they will not trap much air as you try to whip them. More air, more volume. UUUUU… so yummy, you must be a great mom.. I am a new ’empty nester” and I use to just pick up some overly sweet cupcakes from my store. I saw some cake flour marked down and the bulb went off that this way since I am home alone now I can make what I want when I want. I have to admit when I saw the buttermilk, I turned on the printer. I just finished frosting them and eating one now. AWESOME!!!! thanks!!! I was just wondering how many cupcakes this recipe could cover? Hi Glory, Any tips on how to avoid crusting of the cream cheese frosting? Mine crusted up within an hour when left at room temperature! I’d like the smooth texture to stay atleast the day of because the crusting won’t be appealing when served at a party. Thanks! Hi! For the chocolate version, can I put in melted chocolate instead (used up all my cocoa for the cupcakes!!)? If so, how much? I love this recipe for vanilla frosting but am looking for a good coconut one. Do you think if I simply substitute the vanilla extract for coconut extract the recipe would work? Pingback: The Southern Chocolatier – Chocolate Kahlua Cupcakes | My Life. One Story at a Time. Can I freeze the leftover icing? My hydrangea cupcakes look amazing! Thanks. Just made the icing and it was AMAZING! Thank you!!!! My new favorite cream cheese icing recipe for sure! Hi! I was just curious about how sweet this frosting is. I find traditional buttercreams sickeningly sweet and typically use a flour based frosting that is not overly sweet. However, it involves more steps with having to cook the flour/milk mixture and let it cool. I want to make my twins first birthday cake which is going to require a decent amount of frosting because I’m doing ruffles on their cake and this frosting looks like it will be less time consuming. If you have ever made the flour frosting, how does this compare to it in sweetness and also traditional buttercream? The recipe is use is similar to the one the Pioneer Woman deems the best frosting ever. thanks for your help! This is THE best cream cheese icing recipe I have ever had! Made all three and all were a hit in the office. Yum! I love and use this frosting religiously! 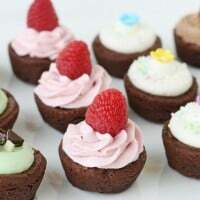 I’m wondering if you used a strawberry mold for the top of the strawberry cupcakes, and if so, what brand or where you found it? My cousin wants me to make a cake using similar strawberries and I thought of your cupcakes here! Pingback: White Chocolate Buttercream Frosting - Chocolate Chocolate and More! Best frosting ive ever made thanks for sharing your recipe. This frosting is fantastic!! I just made some to ice red velvet cupcakes. I was a little unsure of making cream cheese frosting at first, but this is the perfect balance of cream cheese and sweetness! My husband doesn’t care for real sweet frostings, and, when I asked him to try it, he fell in love and wanted a spoon to eat it out of the bowl! This will definitely be added to the recipe collection. Thank you for sharing! I was wondering if you could substitute peppermint extract instead for the vanilla extract. I made this frosting today. As someone else said also mine was too thin to use as a piped frosting. I put strawberry reserves in part of it and left the other plain. I did not use the milk either. I have it in the fridge now. I wanted to use on cupcakes for a wedding reception. Not sure it will hold up . Yours looks great. My butter was cold. Cream cheese was a little cold but not as cold as the butter. I tried another cream cheese frosting a couple years ago and it was real runny. Had to through it out. I’m sorry you’re having trouble! I assure you the cupcakes pictured were piped with this frosting, and I’ve piped it on hundreds of cupcakes over the years. Please report back after you’ve let it set up in the fridge. Without being with you in the kitchen it’s hard to give suggestions as to what could be done differently, but generally it comes down to the ingredients being too warm, or too much liquid (which you mentioned was likely not the case). Regular cream cheese, not a reduced fat version should be used, but I’m not sure if that is an issue. You can always add a bit more powdered sugar if needed, but again, I use the recipe as is with no problem. I hope you were able to work with it after letting it chill in the fridge a bit. Can this cream cheese frosting be used to frost a 8″ cake instead? Would it give the cake a good flavor? Hi, what kind of cream cheese did you use, Philadelphia or mascarpone? Thank you for the great recipes. I just made the cream cheese frosting and it is delicious! I’v been looking for a great cupcake frosting and i think i just found it!!! I just wanted to let you know that my daughter and I made the chocolate cream cheese frosting today and it is THE BEST!!!! The hands down best I’ve ever had!!! Thank you for sharing!! Thanks so much for your sweet comment!! So glad you enjoyed the recipe as much as we do! 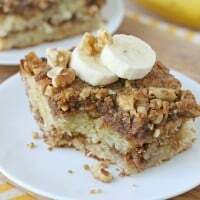 Could I use Vanilla Bean Paste instead of extract or would it change the consistency of the frosting? Feel free to use vanilla bean paste. Obviously it will add little flecks of color from the beans, but it would be a perfectly delicious adjustment. This has become my go-to for piped frosting I want to add different flavors to. So far have done orange and lemon. Added lemon zest and extract which was problematic for my piping tip (from now on will use a round tip if I do that instead of a star) and orange extract for chocolate orange cupcakes. Just replaced the vanilla extract with whatever flavor I wanted. But one FYI adding more powdered sugar may not solve a problem if for some reason the recipe is too soft. Adding a few tbs of cornstarch (in small additions) can also help. As far as the question of how much it will cover, that all depends on how much icing you put on a cupcake! I’ve found I usually have a decent-sized piping bag left after 24 cupcakes. Do the cupcakes need to be refrigerated after you have frost them I have on make 100 and I don’t have room in your refridgerator. 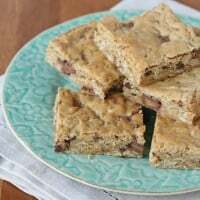 Can’t this recipe Ben doubled or should I make two batches? I found your blog exactly 6 years ago, when making my daughter’s first birthday cake. I’ve been using your recipes since, and I have to say this frosting is one of the most delicious things I’ve ever had in my mouth Thanks for sharing your passion! I tried this recipe today for my daughter’s birthday cake. I made the strawberry version with a seedless preserve and omitted the cream. I added some additional powdered sugar to try to get it to thicken up, but this ended up very loose–so much so that it was sliding down the sides of the cake. My cakes were completely cooled, as I baked them last night. I also put the frosting in the fridge before I frosted the cake in hopes that the chill would give it more structure. I have the frosted cake in the fridge now, hoping that it will stiffin up. 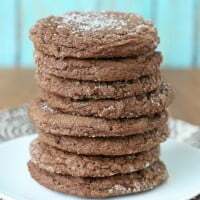 I used organic powdered cane sugar and am wondering if maybe that product does not perform the same as plain ole’ powdered sugar. I really wanted to like this–it does taste really good, but I guess I need to stick to straight-up buttercream :’-(. Also–butter and cream cheese we cold.